Using a sprinkler to water a lawn is quite common. However, the length of time spent watering will differ, depending on your grass type and sprinkler. A few basic steps will help you solve this puzzle. Place four to six straight-edged containers around your lawn. Run the sprinklers for 20 minutes. Shut them off and collect the containers with water. The average depth of water will let you know how long to water your lawn. Most lawns need about 1 inch of water each week. Using the average water depth gathered from the containers on the lawn, you can determine how many times per week to water your lawn to reach 1 inch per week. Drought conditions may require you to water your lawn more frequently if it is not a warm weather grass type. Watering in early morning hours helps prevent evaporation and limit root rot from overnight watering. 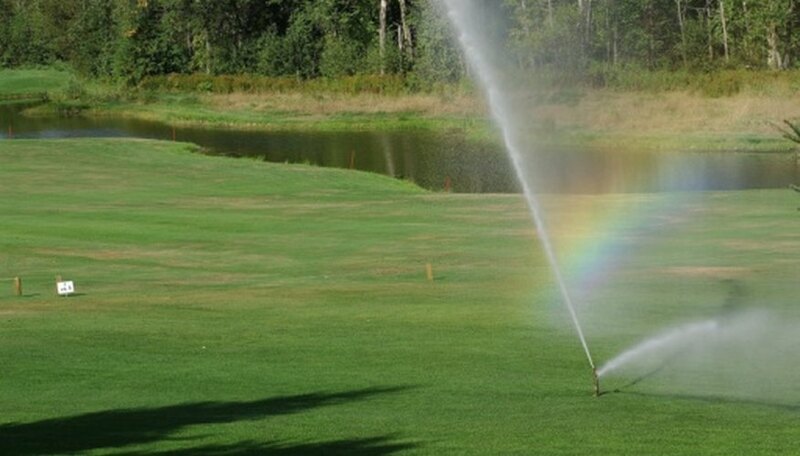 UC Davis: How Long Should I Run the Sprinklers?